Sometimes we get complete lights but most often we get lights with a little something missing or broken. And search begins for the right part. Above are arms waiting to be held by the elusive “correct” center stem. 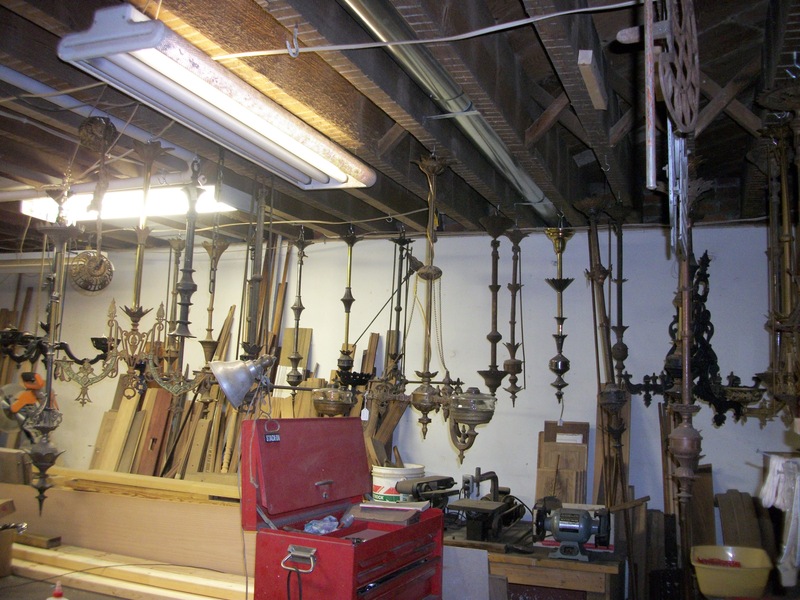 Restoring cast iron chandeliers can be frustrating. 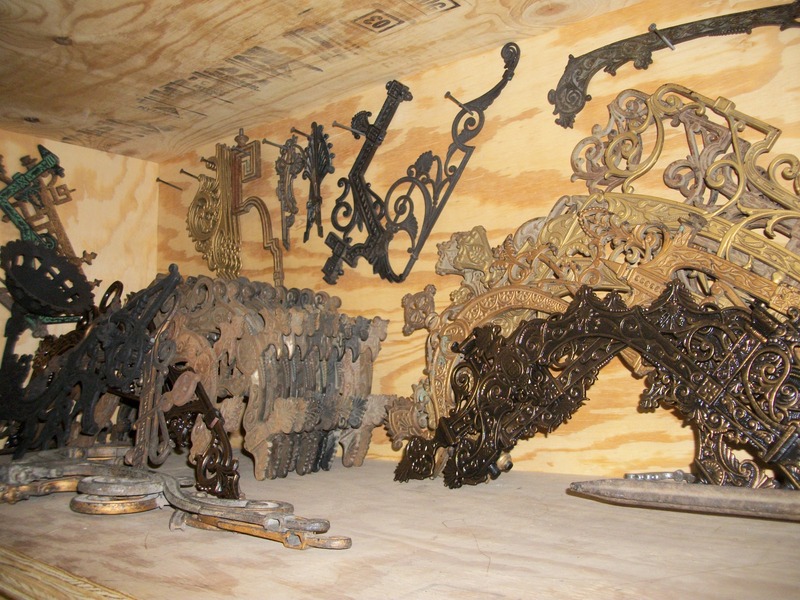 So many parts… sometimes they are a bit like trying to reassemble a 100 piece puzzle dropped piece by piece from an airplane enroute from Maine to California. 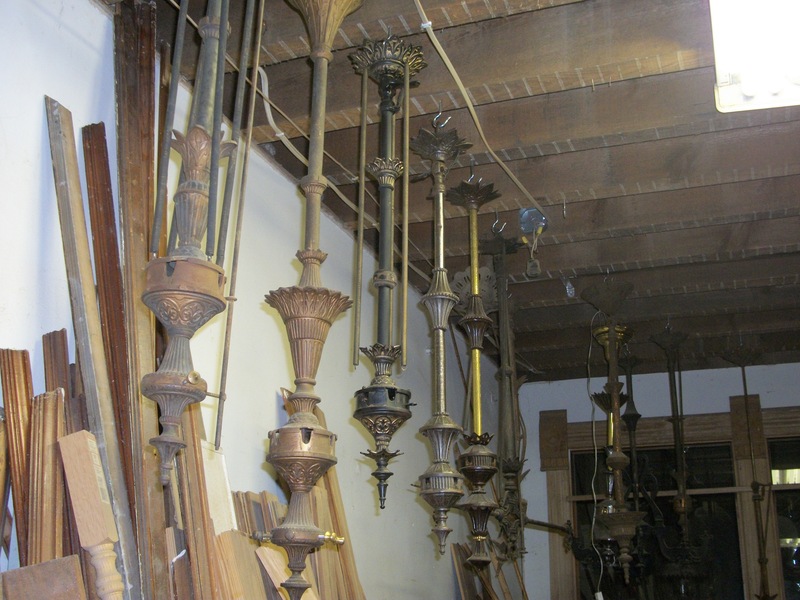 We use the Bradley and Hubbard catalog and other resources for correct reference on many of these rare lights. A few parts interchange but most do not. And cast iron just doesn’t yield… even a little. so we wait… some have been waiting for 35 years in our shop for the correct arms or the correct center stem.